There are literally hundreds of excellent websites that address this question and many truth tests are available. Let’s just consider one such test here, specifically, the Bible’s very own test for veracity. By its own standard the Bible says that if any single prophecy does not come true its prophet was not God-appointed and should be ignored (Deuteronomy 18:21-22). This standard of 100 percent accuracy leaves little room for error! Of the 2,500 prophecies recorded in the Bible around 80% have been fulfilled to the letter so far. The probability of this happening by chance and without error has been conservatively estimated as less than 1 in 10 to the 2000. (That’s a 1 with 2,000 zeros after it.) To put this number in perspective, the probability that the second law of thermodynamics will be reversed in a given situation (e.g., you start your car and the engine freezes instead of warming up), is only 1 in 10 to the 80. 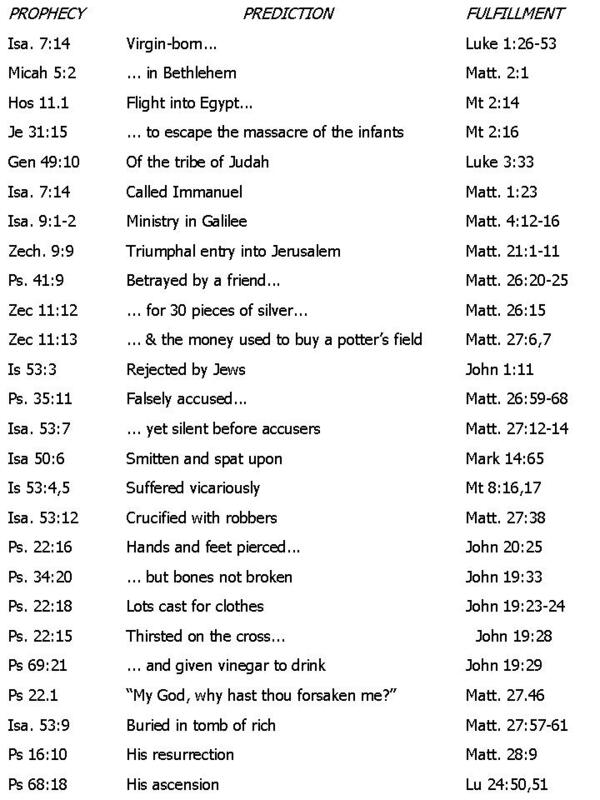 To give you an example of the specific nature of Biblical prophecies, consider the following examples of prophecies concerning Jesus Christ. Set out very well. Great.